Getting in a car accident is a nightmare for everyone involved, particularly for those who are driving with a child in the car with them at the time of impact. According to a recent sobering study, one child under the age of 13 is involved in a car accident every 33 seconds. Given the high frequency of accidents involving young children, child safety when driving has never been more important. For Child Safety Week, we wanted to give you a few quick reminders of how to ensure your child passengers are as safe as possible and share exactly what you should do in case an accident occurs. Investing in knowledge and preparation now could prevent serious injury if or when an accident occurs. You may also want to employ a plaintiff lawyer who can help you offset the cost of health care and repairs. It goes without saying, but as a driver of one or more children, your investment in the right car seat and harness is paramount for the overall safety of your children. Not only should the car seat or harness be high quality and come with a high safety rating, it’s essential that you also invest the time in ensuring it is installed correctly. An improperly installed car seat is the cause of many injuries to children during a car accident. Be sure that your car seat is installed correctly by reading the instruction manual, and confirm that the harness is neither too tight nor too loose. One way to ensure the harness is the right tightness is by pinching it vertically with two of your fingers while your child is buckled in. If you’re able to pinch the harness too easily, it’s too loose, but if you can’t pinch the harness at all, it’s too tight. Using this rule of thumb will ensure your child is secured safely in the car seat. While there is always some risk when driving no matter how careful you are, checking that the necessary safety requirements are met will prepare you if an accident occurs. First and foremost, after the accident, you’ll want to do everything you can to remain calm. While it’s undoubtedly a stressful situation, overreacting or freaking out won’t do anyone any good. Take a deep breath, pull out of the flow of traffic if possible and turn the ignition off. Once you are out of harm’s way and you have checked yourself for any injuries, be sure to check on the status of your child. If your child is any immediate danger, do your best to stabilize them and then call and wait for help. It’s crucial that you do not move them unnecessarily as that could accidentally cause further injury. After you have contacted law enforcement and it’s safe to do so, you can then work to exchange information with the other parties involved. Throughout the entire process, be sure to communicate with your child passengers reassuring them everything is okay. After ensuring that both you and your children are safe, you can then begin considering next steps for how to respond to the accident in the long term. Regardless of whose fault you believe the accident to be, it’s important that you think strategically about your next steps and seek guidance from an attorney if need be. Seeking help from an injury lawyer will help ensure that in case of serious injury you are compensated fairly and that you will be able to continue with your life despite potential life-altering injuries. A car accident lawyer will also work with you to guarantee that every passenger, including your children, get the proper medical attention they need even if finances are tight. As a parent or caretaker of a little one, a car accident can be extremely stressful. Fortunately, with the right precautions and the knowledge of what to do in case of a crash, you can reduce the stress resulting from the accident. At the end of the day, the health and safety of you and your family are the most important things. While most people believe they can handle the repercussions of a car accident alone, it’s highly recommended that you get a car accident lawyer/attorney to ensure you’re taken care of physically, mentally, and financially. 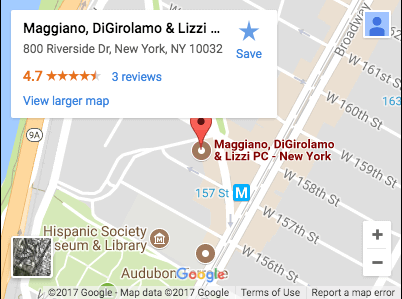 In the case of an accident, you are considered an accident victim, and you should call one of the best New Jersey car accident attorneys at MaggianoLaw.com to assist.